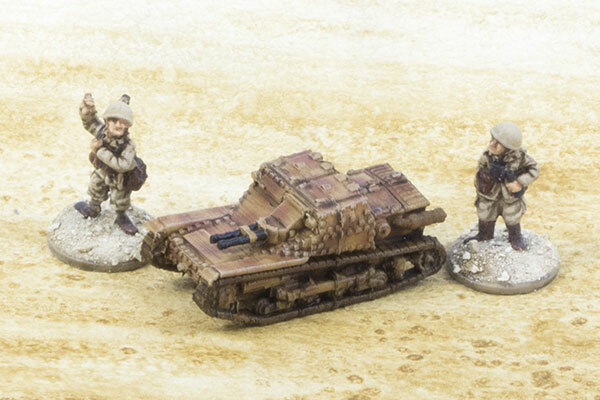 The very first of my 1941 Italian ground forces for the desert war are these three. The Italians are pretty severely undermanned at present, as these two guys are the only Italian infantry I have painted at all, and apart from them, I only have some gun crews for a 75/27 battery I bought quite some time ago and then completely forgot. The diminutive little vehicle is a CV-35 tankette, pretty much completely worthless against any sort of tank, but it can hold its own against, say, a truck. Mighty Armoured Fist of the Wehrmacht!